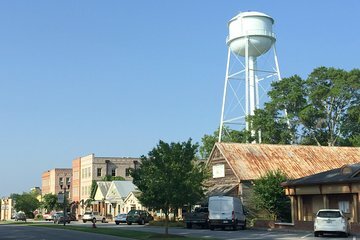 Si vous séjournez à Atlanta, mais que vous souhaitez voir les lieux de tournage de The Walking Dead près de Senoia, en Géorgie, c'est presque impossible à faire sans louer de voiture. Cette excursion The Walking Dead vous permet un trajet confortable à partir d'Atlanta, sans les tracas liés à la location d'une voiture. Découvrez les villes fictives de Woodbury et d'Alexandria, ainsi que les environs ruraux de tournage de la série avec un guide qui vous racontera des faits intéressants à propos de la série et de ses acteurs le long du trajet. Great guide, great tour, interesting place to visit. We thoroughly enjoyed it and would highly recommend to fans of the show. Dan provided a unique experience for us. I would recommend this tour to any Walking Dead fan. We saw all the cool spots and had a chance to learn some interesting facts not only about the show but also about the city. This was a very last minute booking... Our guide, Dan, was very considerate and accommodated us. The length of the tour was perfect seeing everything we wanted to see. The town of Senoia is very charming and worth a visit. Dan is very knowledgable and the perfect ambassador to Atlanta. Having lived in Atlanta decades ago and not loving it on return visits, Dan has convinced us to return with our larger family and we'll book another tour!